Diversity is one of the things I love most about the blogging industry. No two blogs are quite the same; each one has a different mission, audience, aesthetic, and voice. Different things work for different blogs, and monetization one of them. 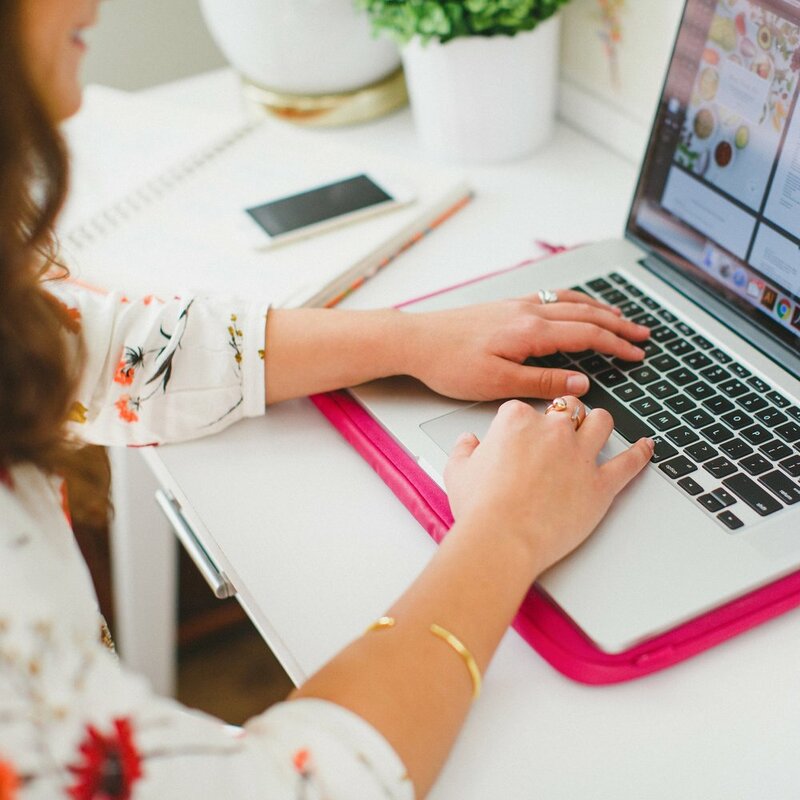 It's common to think of sponsorships when you hear about making money from blogging, but blog sponsors are one of many ways to monetize your blog. So today I'm riding on the coattails of yesterday's post by sharing 7 ways that you can make money from blogging apart from sponsorships. 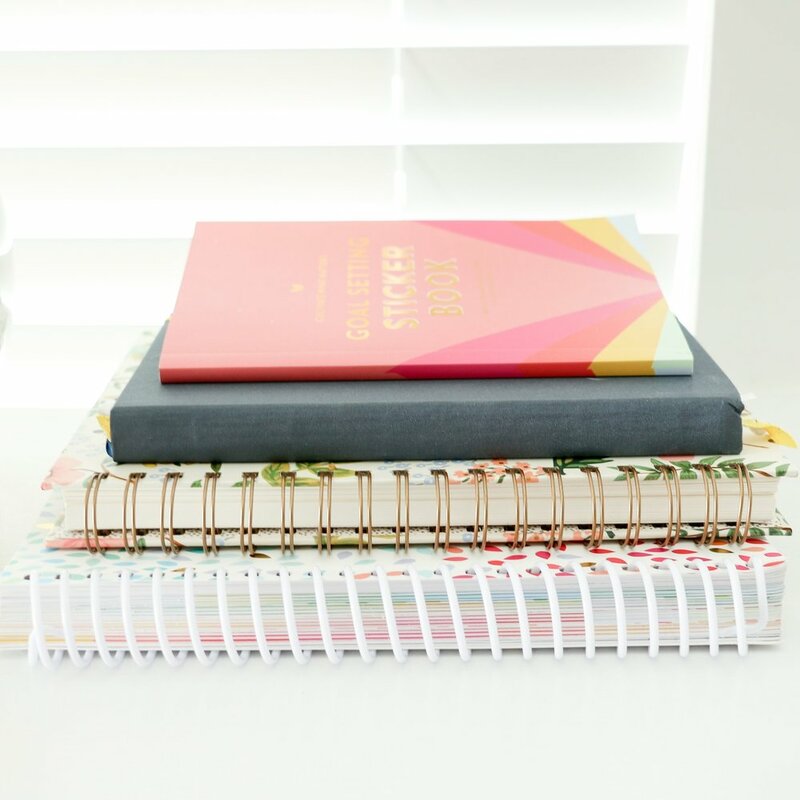 My hope is that you're able to find something in this list that works for you and helps you differentiate your blog from the rest. In order to profit from your blog, you must first focus on driving traffic to your blog. This may seem obvious, but it is imperative that you build your audience before you begin selling products, offering webinars, or write an ebook. It's also important to note that frequent sales pitches on your site can be a turnoff to your readers. Consider following the 90/10 rule to strike a good balance: post content-rich material to the blog 90% of the time and keep posts that are geared toward monetization at a 10% maximum. If you post to your blog each weekday like I do, that gives you 1 day every 2 weeks to post about your offerings. Now onto those 7 ways! Consider condensing a helpful topic in your area of expertise into an online book. For example, if you're a designer who's had wild success with Pinterest and know the ins and outs of building a loyal following that consistently repins your work, write an ebook! Many people would find that information extremely useful. If your blog has doubled each month because of your genius, one-of-a-kind marketing strategy, write an ebook! People are always looking for that kind of helpful content. While ebooks are time consuming to create, the potential payoff is significant. Because publishers aren't involved in the creation of an ebook, the profit margin is much higher and the turnaround time is quicker. Instead of jumping through hoops to sell your book through another company, you can sell an ebook directly to your audience and receive a larger profit. Sites like Liberio are a great place to start if you're interested in writing an ebook. Webinars (web seminars) are great for delivering content in a way that's more interactive through live presentations and Q&A sessions. There are 2 schools of thought on how to make money from a webinar: (1) give away useful content and sell a product in the live presentation or (2) require a payment for attendees to sit in on the webinar. Both are effective ways to deliver content that has worth and monetary value to readers. There are many options for webinar programs, but the two most popular are GoToWebinar and Webinarjam. While there is a learning curve for each software program, both webinar platforms offer a great way to monetize content, products, and services through your blog. If you're an expert in your field, consulting is a great option for monetizing your blog. To get the ball rolling, consistently blog about your field and expertise; the more you blog about a given topic, the more your audience will begin to view you as an authority on the subject (assuming your information is accurate). Most people can spot fraud from a mile away, but many people deserve to be considered experts and should highly consider starting a consulting business through their blog. RewardStyle is a third-party online service that pays bloggers a commission based on retail clothes sales from their website. Although this opportunity comes through invitation only, it is still worth looking into if beauty and fashion is something you frequently blog about. You can read more details on their site. Speaking engagements are another way you can monetize your blogging efforts. These opportunities usually arise after you've been blogging on a subject that you're an expert on. If you continue to create quality content in your area of expertise and network with others in your industry, more of these opportunities will come your way. This is probably one of the most obvious ways to create an income from your blog, but also one of the most effective. While selling products and services is more of an indirect way to monetize your blog, blogging allows you to market your products directly to an audience. A blog that creates demand for content has great potential to create demand for products and services, too. It's also important to note that there are countless opportunities and options in the products and services realm; it doesn't have to look like the typical Etsy shop. They could take the form of a home good collection, photoshop actions, or even this lovely wallpaper. Get creative! Is your blog getting to a place where you have the potential to make a profit from it? Think critically about the different options that are available to you and consider which ones would work best with your mission and for your audience. Also consider needs that aren't being met in your blogging niche. What do readers in your area of the blogging community want? Are they willing to pay for it? How can you deliver on the product/service/webinar/ebook and create demand for it at the same time? Don't accept the status quo for making money with blogging; search for ways to be unique and stand out from the crowd.